MEDIATOR PCI 1200 TX BLACK EDITION is the successor to the popular MEDIATOR PCI 1200 SX. New firmware embedded in CPLDs of MEDIATOR 1200 TX allows significant speed-up of graphic card operations when hardware 2D and 3D acceleration is used in single-processor systems (68k or PPC). The new firmware operation modes are supported by the new Mediator OS3.x System Files provided on the enclosed MM CD. Compatible with AmigaOS 3 and the new AmigaOS 4.1 Classic. 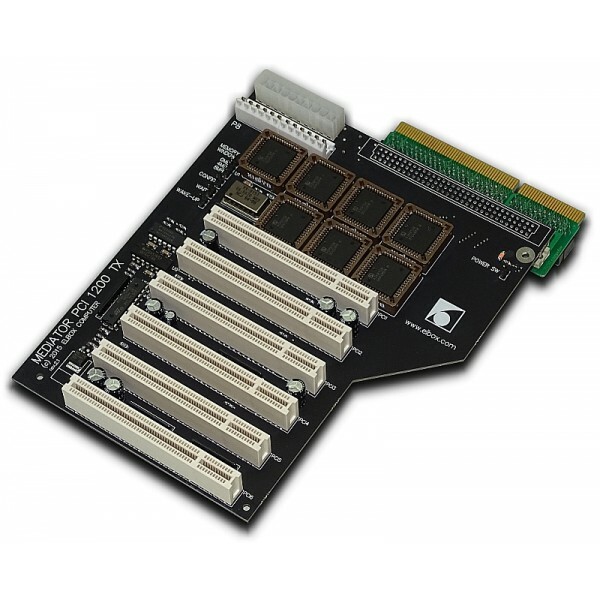 The Mediator PCI 1200 TX busboard is designed to enable expansion of towerised Amiga 1200 with a wide range of high-performance, low-cost PCI cards.